Are you looking for some stylish Corvette car mats that will help to keep your car clean? 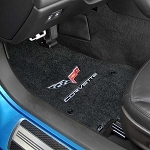 Well, here at Corvette Mods, Lloyd's floor mats are some of the best that you can buy in the industry. When you track mud in from outside, it can sometimes get into your car without a car mat. This is why car mats exist, and they are so taken for granted, nowadays. 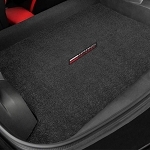 Lloyd's car mats are not only going to help with keeping the floor of your car clean, but they also look fantastically stylish. 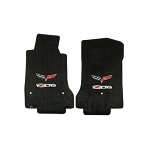 You can find a wide variety of different car mats that will fit the style of different people. 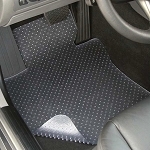 Whatever you need, you can be sure that Lloyd's car mats can help you with it. Different mats are also going to come with different features, so keep that in mind when you are considering a purchase. This can also be utilized to your advantage to help you to find the car mat that you truly desire. A stylish car calls for stylish car mats. 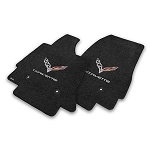 Settle for nothing less than the best with Lloyd's car mats. They are going to help you to ride in style, and when your friends get into your Corvette, they will be even more impressed by your sense of style. 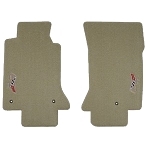 These car mats use only material that is of the highest quality. 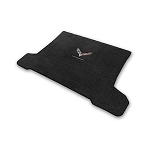 These mats are also much thicker than the majority of mats, and they are so soft that you will wonder why you did not choose them sooner. Lloyd's car mats are manufactured using 48 oz nylon making them some of the thickest and most heavy mats that are in the market. 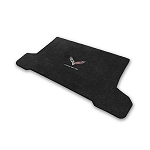 You know how you tell a high-quality car mat from a low-quality car mat? By how heavy these car mats are. The heavier they are the softer and more enjoyable they are going to be. We are Corvette Mods and we are dedicated to give you only the best of products for your Corvette. Lloyd's car mats are the best that is currently on the market. You will not regret purchasing one.